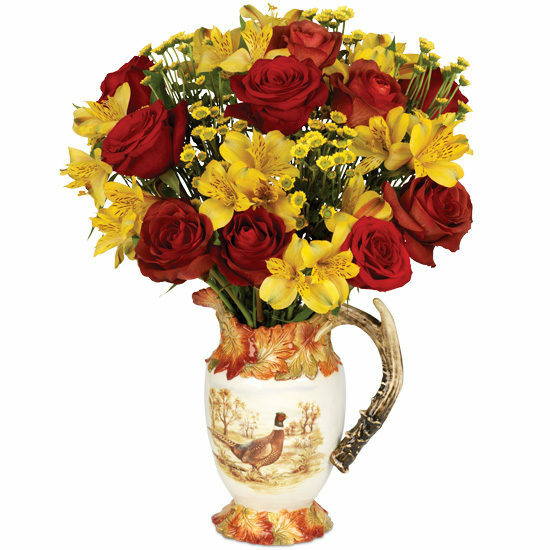 We hunted around for the finest and freshest flowers of fall and gathered them up in this impressive bouquet that’s certainly unique and most definitely interesting. 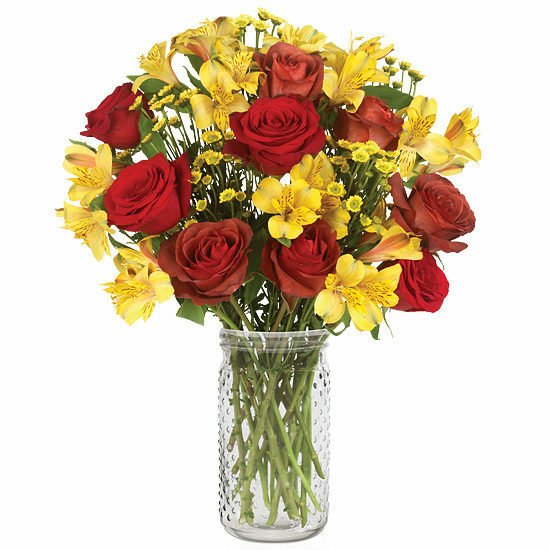 Bright with the season’s prettiest colors, it includes yellow micro poms with green centers, terracotta Coffee Break roses, red Freedom roses, and yellow alstroemeria. And to make this display of autumn beauty even more intriguing, we’ve paired it with our hand-painted ceramic pitcher – a truly one-of-a-kind vessel with a pheasant motif on one side and a deer on the reverse, raised leave design at the brim and base, and ceramic antler handle. Please note: as shown pitcher will arrive in separate shipment.